The Wihan Quartet is committed to the education and encouragement of young musicians. 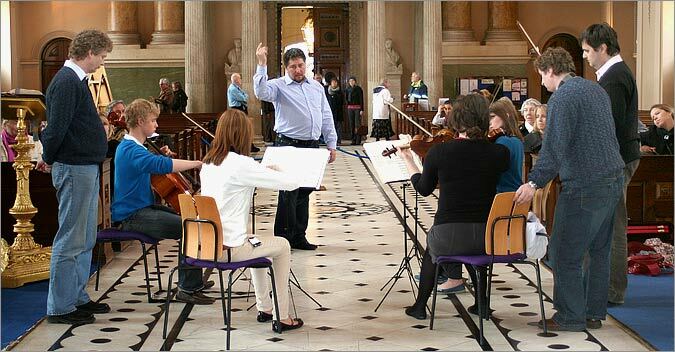 They are Quartet-in-Residence at Trinity College of Music, London and teach at both the Senior and Junior level. For several years the Quartet has coached on both the Pro Corda Senior Summer Course and Musical Encounters for young professional ensembles. They have also given master classes at the Royal Welsh College of Music and Drama in Cardiff, at the University of Bangor and at St. Georges Bristol. They are sought after as teachers by many of the young quartets in the UK today. When in the UK, The Wihan Quartet work regularly for the CAVATINA Chamber Music Trust, giving concerts in schools to help develop a love of chamber music amongst young people. Leoš Čepický also teaches at the Academy of Fine Arts in Prague, and he and Jiří Žigmund both teach at the International Music Academy, Pilsen, in the Czech Republic.